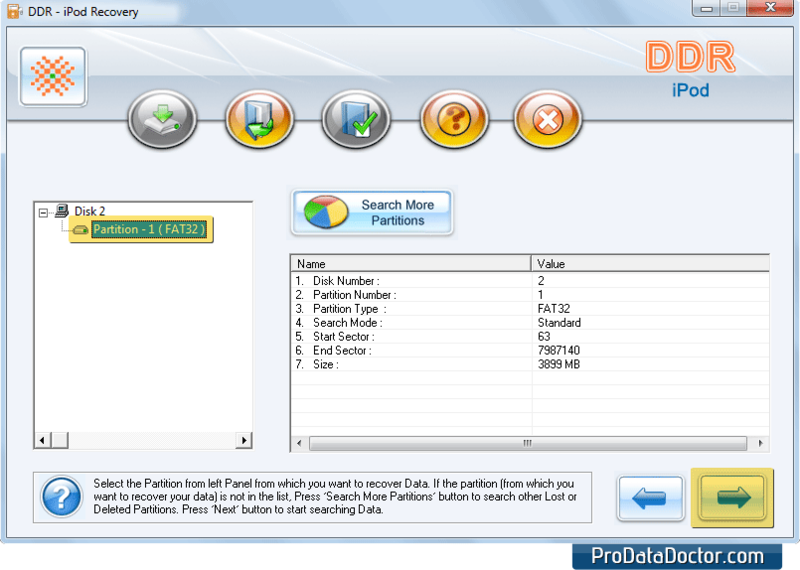 iPod data recovery software retrieves all important lost deleted music files from your iPod digital media player. Music rescue software ensure your favorite songs list recovery even from accidentally deleted iPod memory. Recovers files even if ‘drive not formatted’ error message is displayed by your computer while accessing iPod music system. Support all major iPod models including iPod Classic (first to next generation series), iPod Mini, iPod Shuffle and other popular iPod audio video models. Support iPod in major storage capacity including 5GB 10GB, 15GB, 20GB, 30GB, 40GB, 60GB, 80GB 160GB and even higher capacity drives. Support all major photo file format including jpeg, bmp, gif, tiff, and png etc. The mp3 music retrieval software support recovery of lost deleted file formats including MPEG-4 and QuickTime video formats supporting advance Fifth and sixth generation iPod models.